Soak the chia seeds in 1/3 cup Strawberry Balsamic for at least 20 minutes prior to making the recipe. Add the soaked chia seeds, olive oil and banana to the blender jar and blend to a smooth consistency. 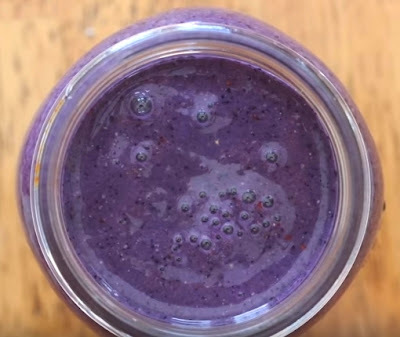 Add the baby kale and frozen blueberries to the jar and process until completely smooth.